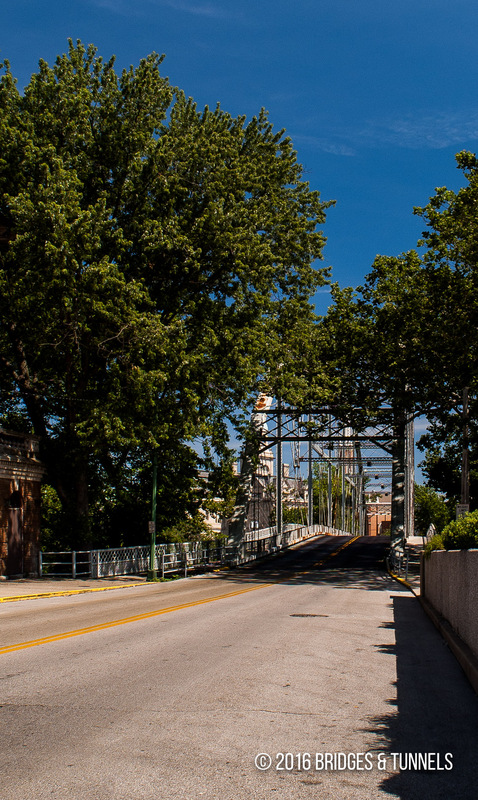 The Singing Bridge carries St. Clair Street across the Kentucky River in Frankfort, Kentucky. 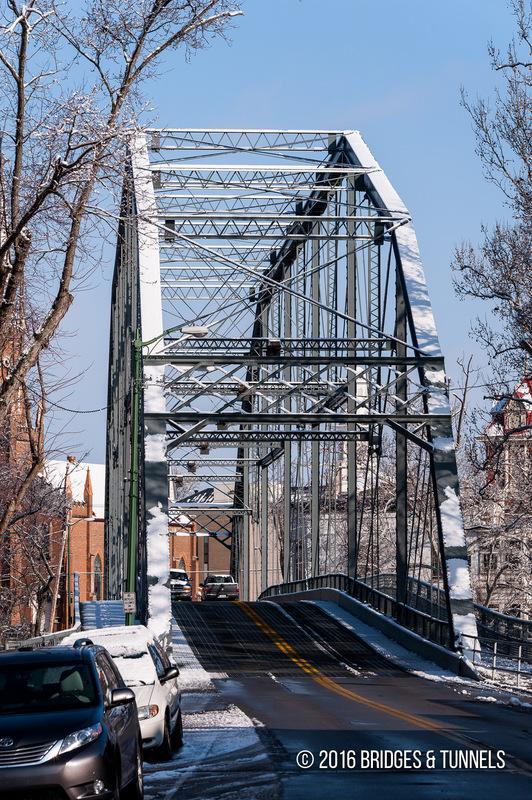 The Frankfort Bridge Company was chartered by the city of Frankfort to connect downtown to the “suburb” on the other side of the Kentucky River in 1810.1 The first crossing was completed in 1816 at a cost of $25,000. 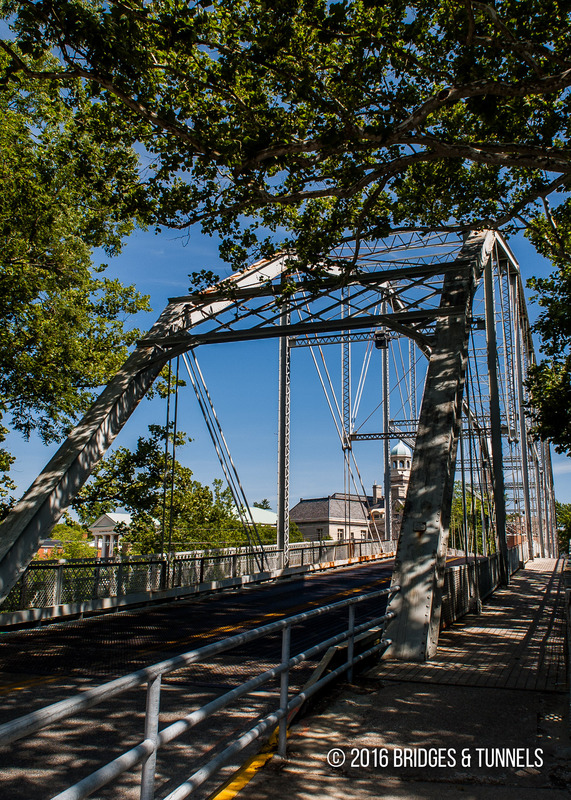 A flood in July 1834 caused the bridge to collapse and a replacement span, completed in December 1835, fell into the river just eight days after reopening, killing two pedestrians. 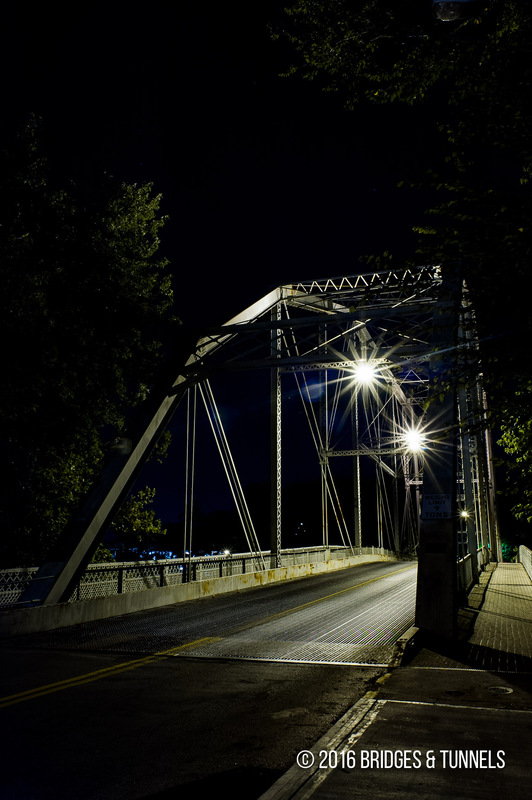 A double width covered bridge opened in 1847 and replaced in 1893 with an iron Pennsylvania through truss.1 The new bridge was constructed by the King Bridge Company of Cleveland, Ohio and carried pedestrians, horse-drawn buggies and streetcars. It was later designated as part of US 60 in 1926. 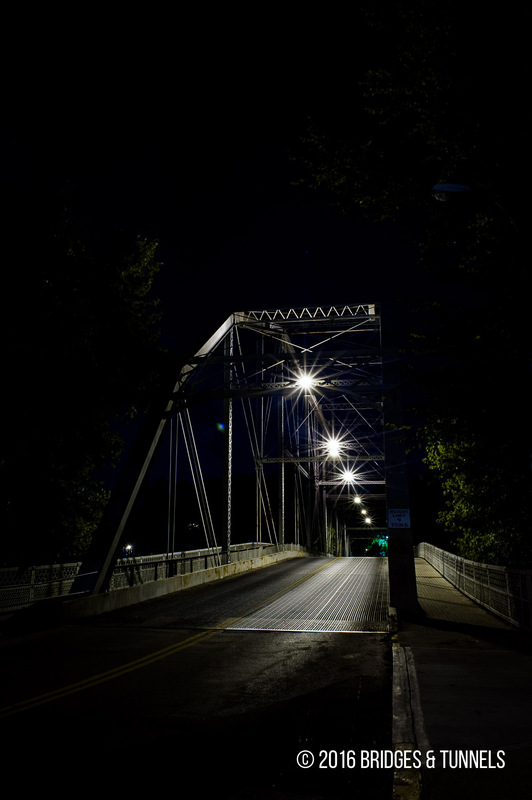 In 1992, as part of the state’s bicentennial and through a grant by the Kentucky Bicentennial Commission, lighting was upgraded on the Singing Bridge.1 The crossing was rehabilitated in 1956 and again in 2010.